A few weeks ago, I attended an event just off Smith street with my friend Alaina. We'd had a fun time and a few snacks and drinks, but were in the mood for a more substantial meal afterwards. It seemed like the perfect opportunity to visit a new restaurant nearby that Alaina had been meaning to try. The lovely Daisy and Ricky were at the event too, and they were happy to join us, so it turned into an impromptu midweek social dinner. Yay! 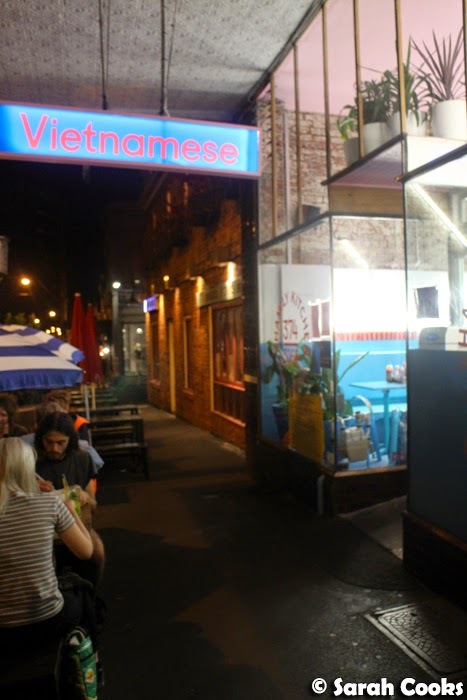 So, Phamily Kitchen is a new-ish casual Vietnamese restaurant on Smith street, from Michael Pham (the same guy behind Tiny Cafe on Cromwell Street in Collingwood). Phamily Kitchen is super easy to find - bright fluorescent lights and an even brighter blue colour scheme! 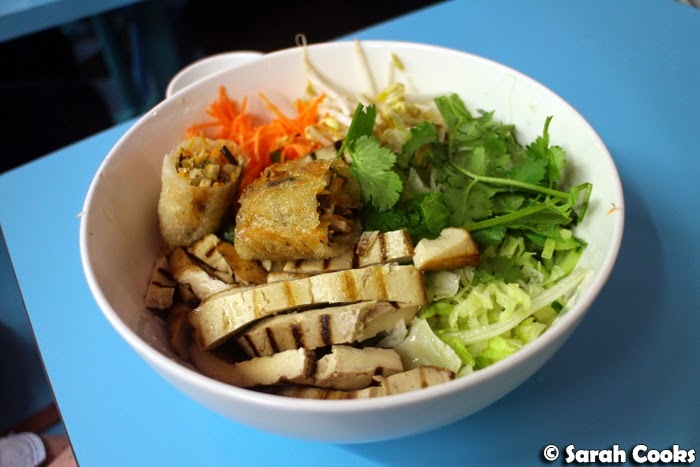 They serve a range of Vietnamese classics: banh mi, vermicelli, coleslaw, rice paper rolls, pho and rice dishes. PS don't forget to flip the menu over and read the Frequently Asked Questions. They're pretty hilarious. 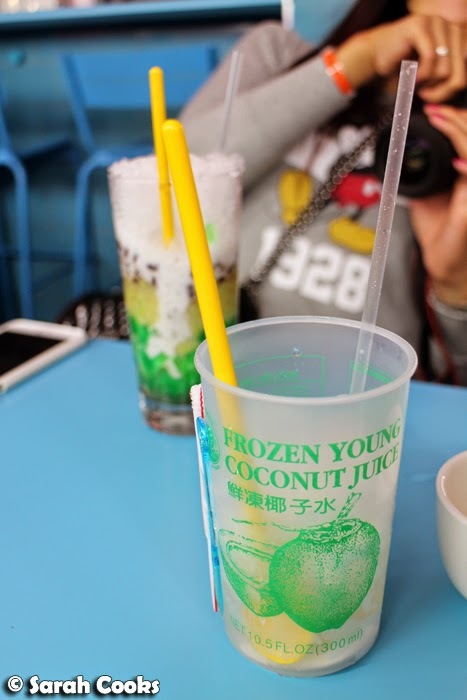 We got a three colour drink (interestingly listed as a "dessert" on the menu), and a frozen coconut juice - yum yum. 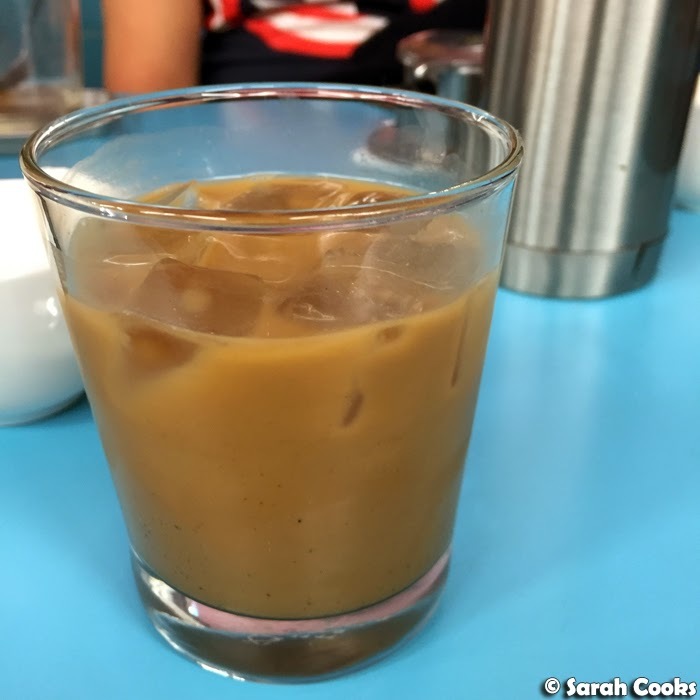 Daisy and I were intrigued by the idea of Vietnamese coconut iced coffee, but were worried that we might not be able to sleep. Luckily, Ricky was happy to order one for himself and let us each have a taste! It was quite nice, with a mild coconut flavour. 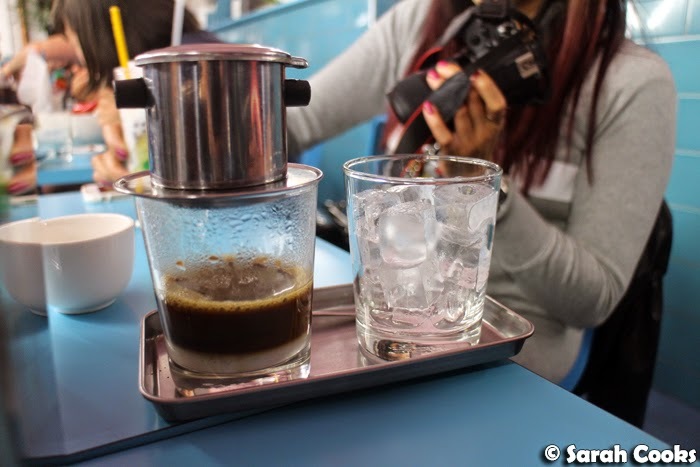 I'm glad we tried it - but I still love my regular Vietnamese iced coffee, full of sweet sweet condensed milk. 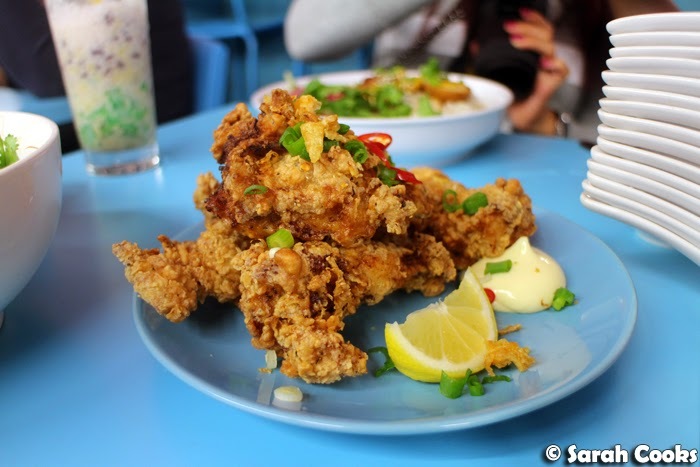 We shared some lemongrass fried chicken ribs - these were crisp and juicy, with a nice hint of lemongrass. Quasi-vegetarian Alaina got the bun (vermicelli noodles) with tofu and spring rolls - it was fresh and light, whilst still being filling. Ricky ordered the Thit Kho (caramelised pork with eggs), and let me try some. Wow, it was totally amazing! I've had this dish at other restaurants, but this was definitely the best one I've ever tried. Normally when I eat pork belly cooked this way, (i.e. without crackling), I just eat the meat and pick off the fat, but here, the fat was really infused with all that delicious palm sugar and soy sauce flavour, and I had to eat all of it! So delicious. And speaking of pork... it should come as no surprise to anyone that I ordered a dish topped with roast pork belly. I saw the word "crackling" on the menu and couldn't think further! Normally when I eat pork with crackling, it's Chinese style (with rice), or as part of a big roast lunch. 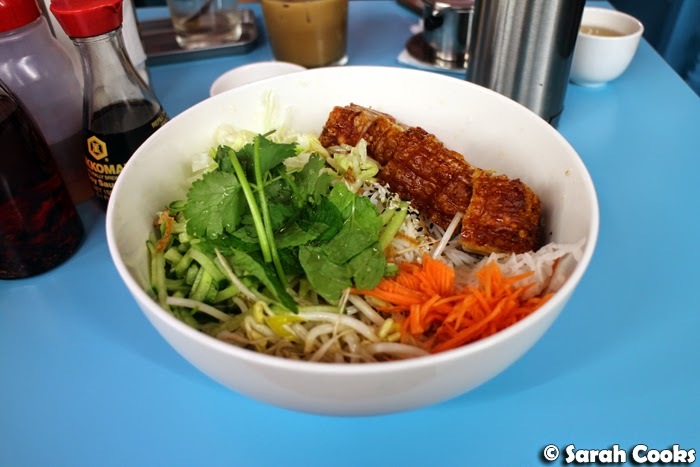 It was actually really nice having crackly pork belly with in a lighter dish of vermicelli noodles with a zingy dressing and heaps of fresh herbs and vegetables. I didn't try any of the pho but Daisy and Ricky both approved! So that was our visit to Phamily Kitchen! I've read mixed reports about the service on Urbanspoon, but on the night of our visit the waitstaff were all friendly and accommodating, the our meals came out quickly. We had a good time and enjoyed the food, which I found to be on par with the Vietnamese joints I normally visit on Victoria Street. 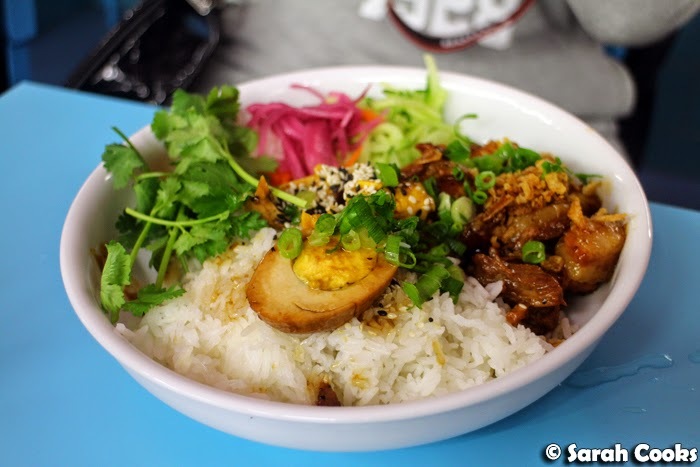 (Apart from the super delicious thit kho, which was out of this world!) 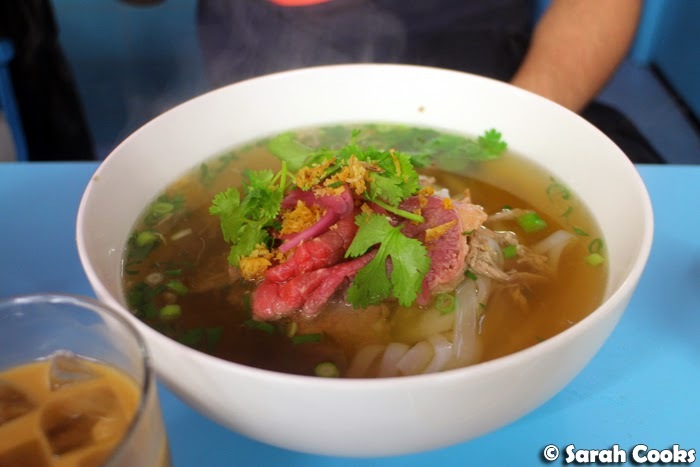 The prices are obviously quite a bit higher than most places on Victoria Street (and certainly more expensive than Springvale and Footscray), but if you happen to be in the area and in the mood for Vietnamese food then I think it's definitely worth stopping in. I would definitely love to visit this place and try those food. They sound fun and delicious!